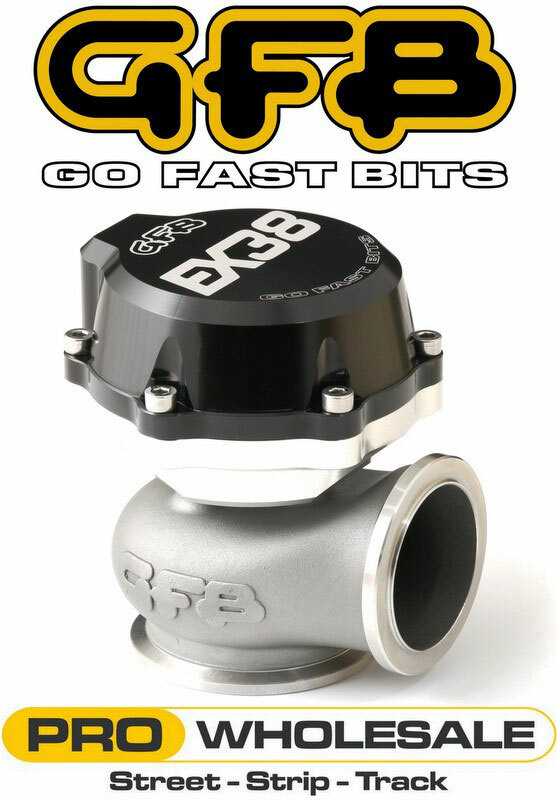 The GFB 38mm Wastegate has been designed to cope with the brutal conditions of extreme exhaust temperatures, the EX38 Wastegate features not only a huge flow capacity, but also a compact size that is unmatched by competitors for a 38mm wastegate. Supplied with a 10psi spring, 5psi & 7psi springs are available & can be ganged together in various combinations to allow boost pressures of 5psi, 7psi, 10psi, 12psi, 15psi, 17psi and 22psi. This is the largest range of boost pressures off-the-shelf. 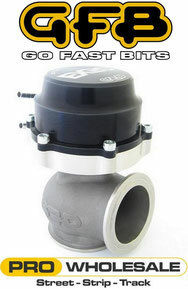 Body, valve and seat are made from high-temp stainless steel. 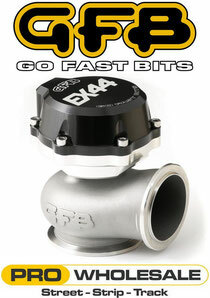 The GFB 44mm Wastegate has been designed to cope with the brutal conditions of extreme exhaust temperatures, the EX44 Wastegate features not only a huge flow capacity, but also a compact size that is unmatched by competitors for a 44mm wastegate. Supplied with a 5psi & 10psi Spring already fitted , a 7psi spring is available & can be ganged together in various combinations to allow boost pressures of 5psi, 7psi, 10psi, 12psi, 15psi, 17psi and 22psi. 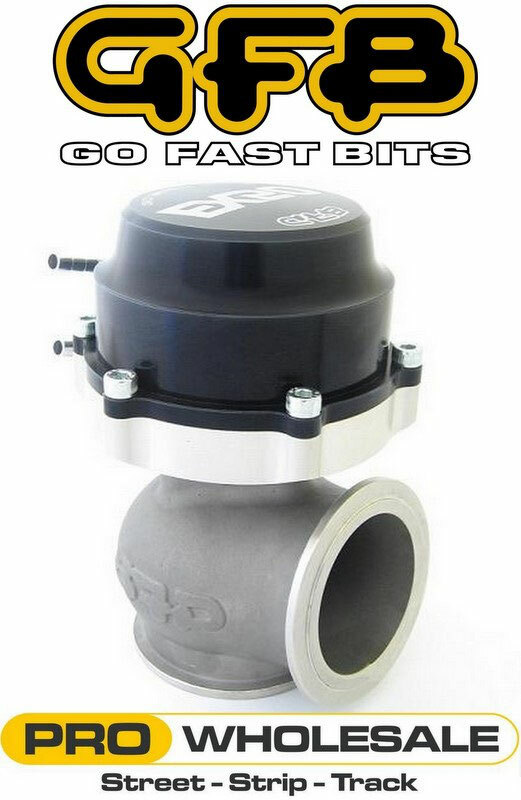 This is the largest range of boost pressures off-the-shelf. 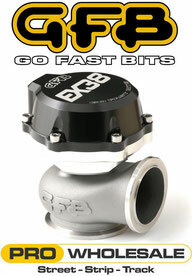 The GFB 50mm Wastegate has been designed to cope with the brutal conditions of extreme exhaust temperatures, the EX50 Wastegate features not only a huge flow capacity, but also a compact size that is unmatched by competitors for a 50mm wastegate. Supplied with a 13psi spring, other springs available & can be ganged together in various combinations to allow boost pressures of 7, 9, 13, 16, 20, 22 and 29psi. This is the largest range of boost pressures off-the-shelf.